About a month and a half ago (yes I am really late with this post) I went to Paris with one of my friends. We have both been to Paris a couple of times so this time we weren’t going for all the famous sights. Instead we spent the days strolling along the streets of La Marais, eating delicious food and shopping. 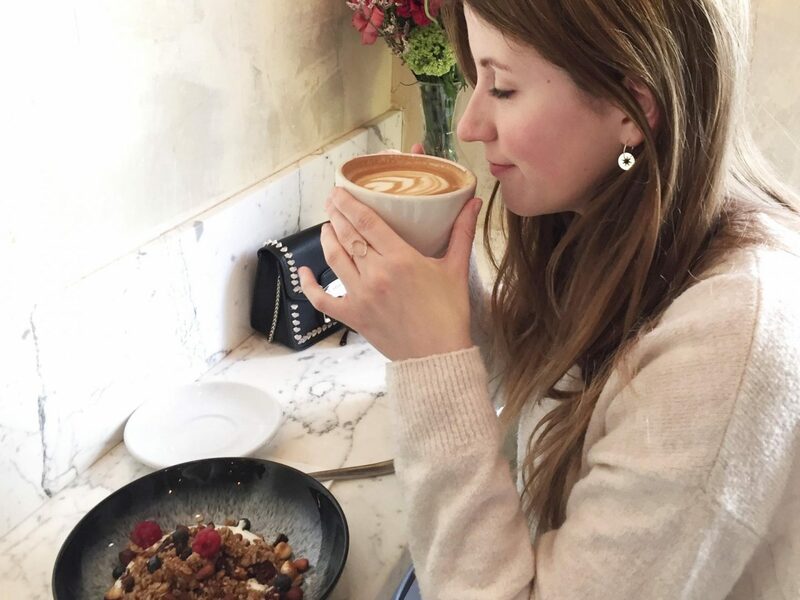 Today I am sharing our favorite places with you. 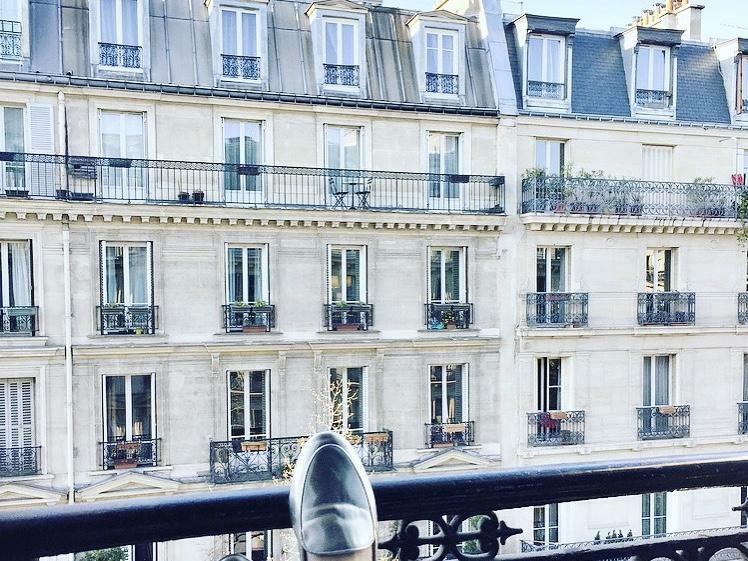 Since Le Marais is our favorite neighborhood in Paris, we knew we wanted to find a hotel here. It’s also one of the most expensive areas but we managed to find a good deal. We ended up staying at Le Relais du Marais. The rooms weren’t big but really comfortable and we couldn’t be more pleased when we saw the bathroom (with a large rain shower) and our little French balcony. Boot café, is an adorable little café. And when I say little, I really mean little because it only holds about six people. They have amazing coffee and banana bread and the interior is also very cool and interesting. 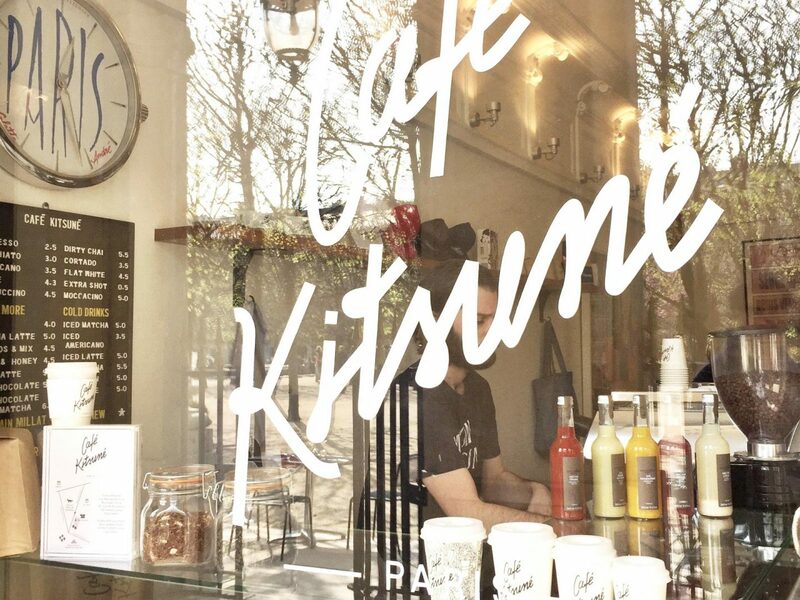 Café Kitsuné, is located in my favorite place in Paris, le jardin de Palais-Royal. The outside terrace gives you a beautiful view of the garden and it’s the perfect place for a quiet coffee date or some time to relax and get away from the busy streets. Ladurée, macaroons, macaroons & more macaroons. Do I need to say more? 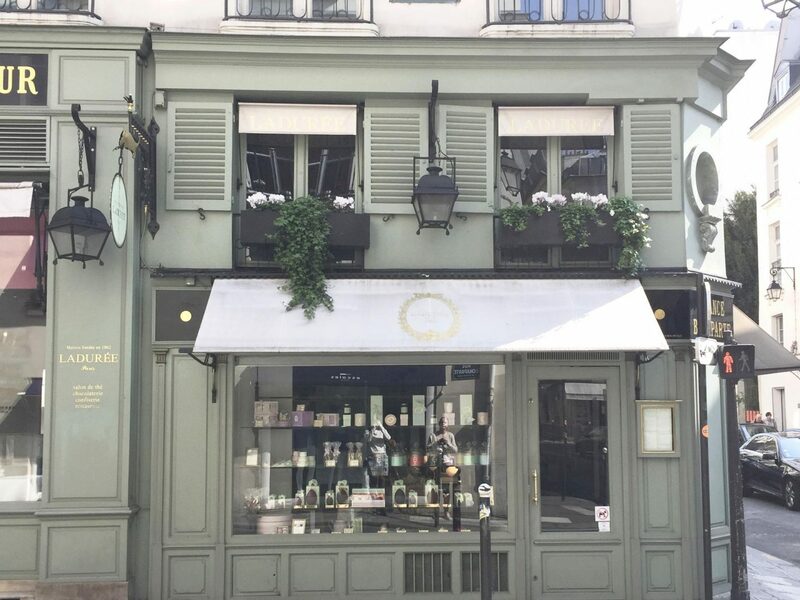 If you want to find the Ladurée with the prettiest exterior, then you should definitely go to the one on Rue Bonaparte. 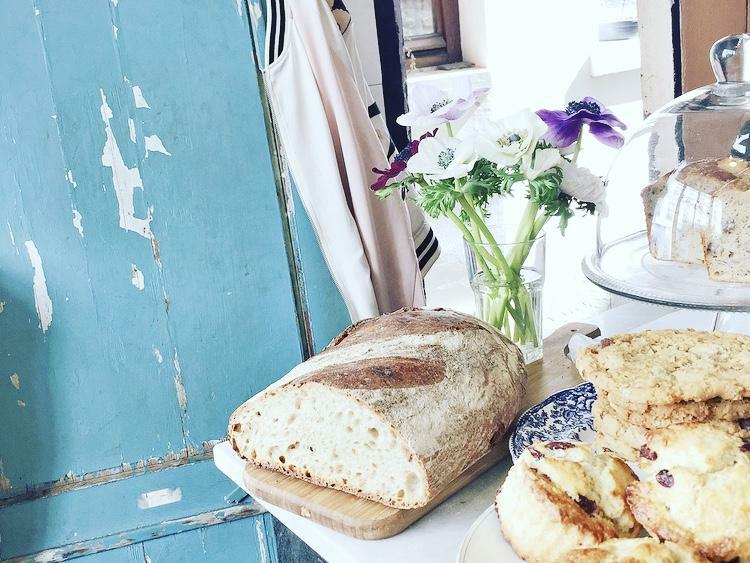 Ob-La-DI, an Instagram worthy breakfast spot with marble tables and an amazing blue tile floor. PNY Marais, Paris New York Marais is delicious burger restaurant in Le Marais. 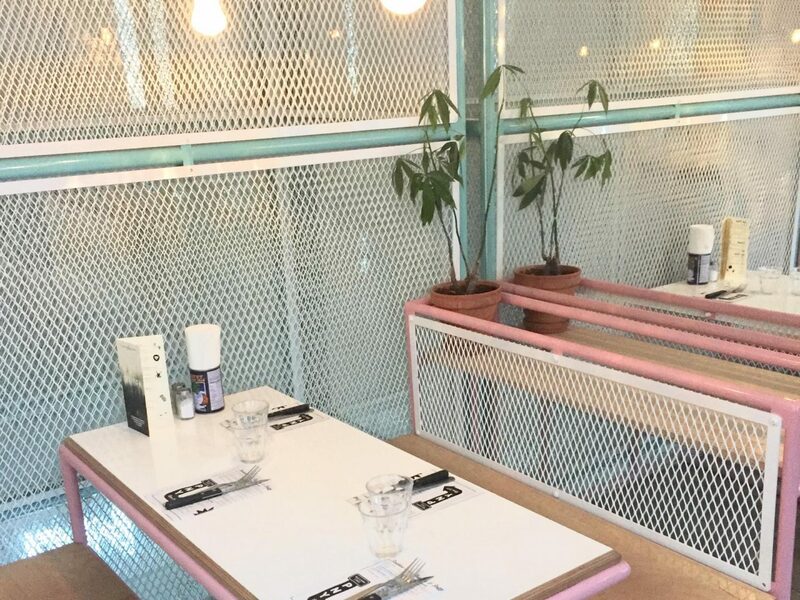 If you are not a burger fan then the interior and drinks still make it worth a visit. 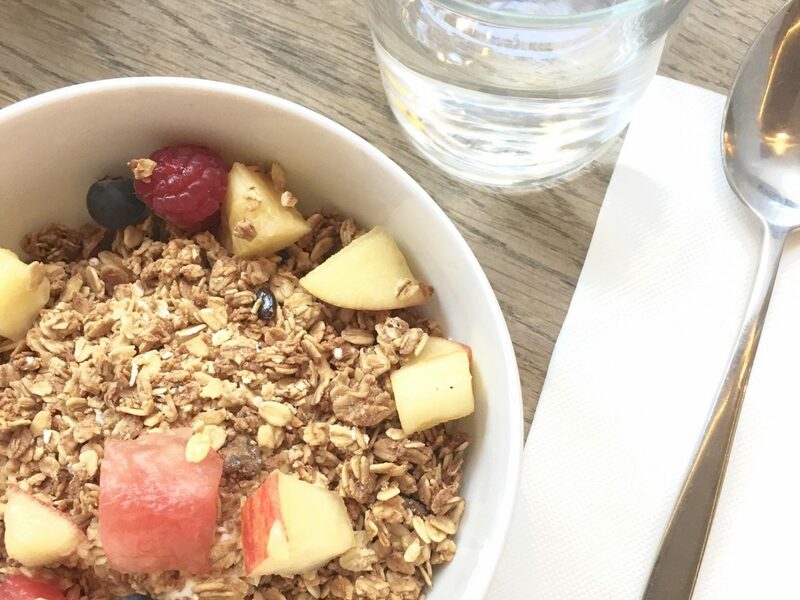 Season, is a coffee bar/lunch spot with the perfect brunch food. 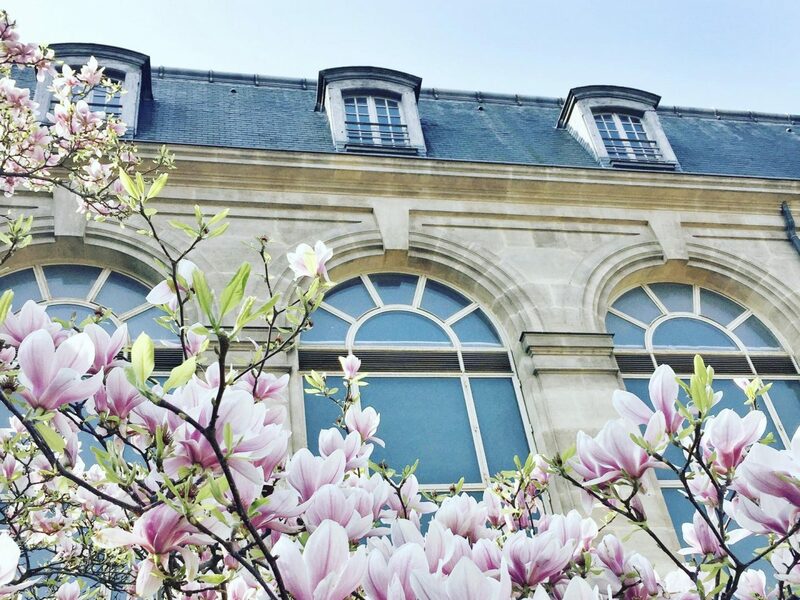 There are several Season locations in Le Marais, so it’s hard to miss this one. 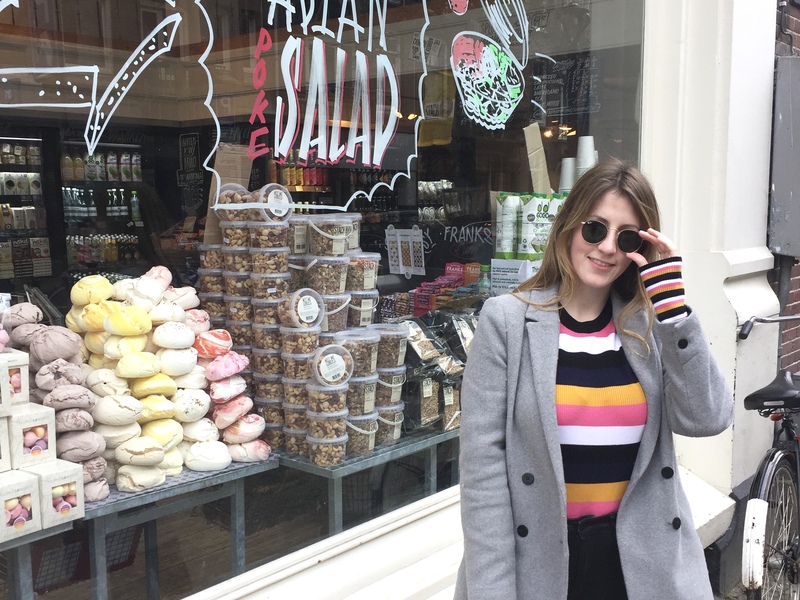 Part two of the Paris guide, with things to see/do and place to shop will follow soon. Next Post A Capsule Wardrobe, yes or no?